As a longtime proponent of cooperative gaming, I have shared a lot of fantastic gaming moments with friends over the years. Working with others to achieve a common goal, such as destroying a boss, always feels incredibly satisfying. 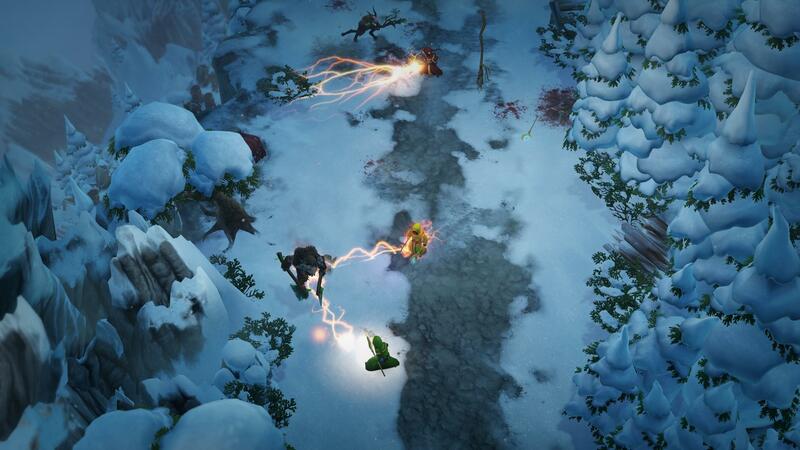 PC gamers will know that few games did co-op as well as Arrowhead Game Studios’ Magicka. Sadly, the original game never came to consoles and the developer left the series to work on the PlayStation 4-exclusive Helldivers. Thankfully for fans of cooperative games, publisher Paradox Interacive has continued the Magicka series letting new developer Pieces Interactive give their take on the series. Magicka 2 allows players to relive their childhood fantasy of being a wizard, as each player (up to four total) controls their own spellcaster. Players can use eight different elements (ranging from fire to death) to create powerful spells. Similar to the quark system found in recent PS4 release Schrödinger’s Cat and the Raiders of the Lost Quark, these elements can be combined in different ways to create hundreds of different spell configurations. For example, combining water and fire will create a steam spell. Up to five different elements can be combined at once, so players are only limited by their creativity. Adding to Magicka’s depth, spell configuration can be cast in a variety of ways. The most common way you’ll cast spells is by using the right analog stick. These spells are long range attacks that will damage enemies. Using this form will make the game play similar to a dual-stick shooter. Spells can also be cast upon oneself, which is helpful for healing and fixing status ailments that you may be afflicted with through the course of the game. Mages will have to be careful though, as casting death on yourself won’t net you any positive attributes. Finally, players can also use a short-range attack that is particularly useful when surrounded by foes. While it may seem like a complicated system, Magicka 2 has an excellent tutorial and allows players to constantly try new spells in its nine level campaign. Each level in the story mode has the player exploring a semi-lengthy area full of hidden secrets and enemies that are trying to make you lunch. Puzzle solving is relatively sparse in the main game (although there are a lot of optional puzzles to find and solve), so the focus is definitely on the combat. One of the first things you’ll notice, if you’re playing with others, is that your attacks will damage anyone on screen. This means that if played recklessly, you’ll end up killing teammates more often than enemies. It is a tremendous design choice, that forces players to play smart and work together if they wish to get through the game. It isn’t without its drawbacks, though. 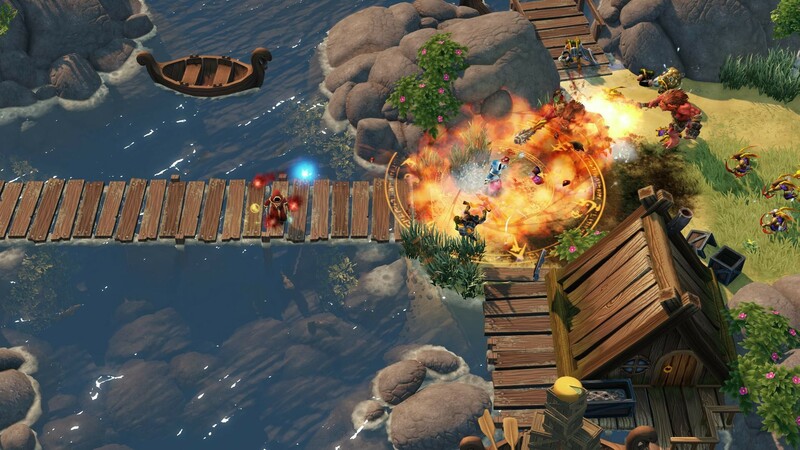 Like any cooperative game, Magicka 2 can be a complete mess when played with the wrong people. Sadly, most of my play sessions with the game ended up being less than stellar thanks to being paired up with partners who didn’t seem to understand the basics of the game. I often saw players fail to cast a revive spell despite the fact that the rest of the team was dead. This of course led to that player dying and a game over screen to show up soon thereafter. However, when paired up with players that knew what they were doing Magicka 2 is a blast. In fact, when the game has four separate players working together, it’s an unforgettable experience. It all comes down to whether or not you have a group of friends that can regularly play with you. If you do, then you’ll have a great time. Just let it be known that playing with random players can be more frustrating than fun. Magicka 2 can be played in single-player, but this is not a good way to play. You’ll probably be able to beat a chapter or two of the campaign by yourself, but the game will quickly become unmanageable. There are often dozens of enemies on screen that can cause your health bar to completely vanish in seconds. When you don’t have a second player that can revive you, you’ll end up staring at a lot of game over screens. I found that single-player is just not a viable way to play due to the game not being tweaked to be an easier experience. It won’t take too long to finish up Magicka 2’s campaign as each individual chapter only takes about a half hour to beat. This doesn’t mean that the game is light on content, though. There are two additional difficulty levels to check out, although the standard game will be a healthy challenge for most groups. You can also create a custom difficulty by applying up to nine variants that the game calls artifacts. Artifacts can range from making certain elements more powerful to changing the entire look of the game. Rounding out the package is two other modes: trial and challenge. 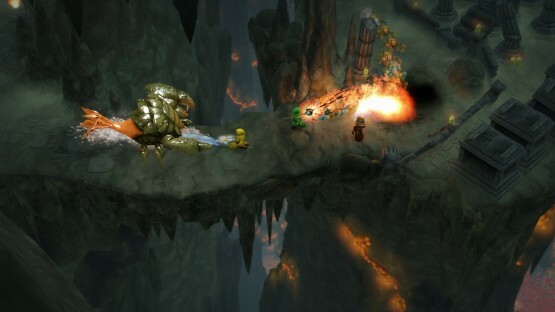 Trial mode allows players to battle any of the nine bosses in the game with the added goal of killing them as soon as possible. It is a fun way to relive some of the best parts of the campaign without having to play through 20 minutes of build up before doing so. Challenge mode has seven different mini-missions for the player to complete. These range from wave based survival maps, to clearing out a group of enemies as quickly as possible. Both of these modes are fantastic diversions. It is worth noting that I came across several glitches while playing through Magicka 2. I often encountered an audio issue where sound effects would stop playing for a while (which admittedly gives you a chance to appreciate how good the music is). There was also an instant where my player would only move at an excruciatingly slow pace, this was fixed by restarting the level from the last checkpoint, but it was frustrating to lose progress just to fix a glitch. Pieces Interactive has done a very good job in continuing the Magicka series. While there have been some growing pains, Magicka 2 still manages to be an extraordinary cooperative game when played with the right people. If you have a group of friends that are tired of playing Borderlands and Helldivers, then make sure you give Magicka 2 a spin.